Presented by Platinum Events & Security LLC. 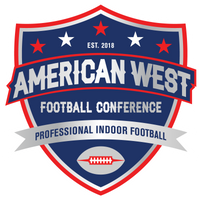 The American West Football Conference will proactively develop a league of stable and profitable football teams by demonstrating the highest level of integrity and professionalism. We will strive to provide our fans, sponsors, business partners with as much value and quality as possible while maintaining the highest standards of business practices.